As you fly over the Delta you can see the intricate twisting and turning of the waterways and the ever-changing colors where dry land meets Delta. 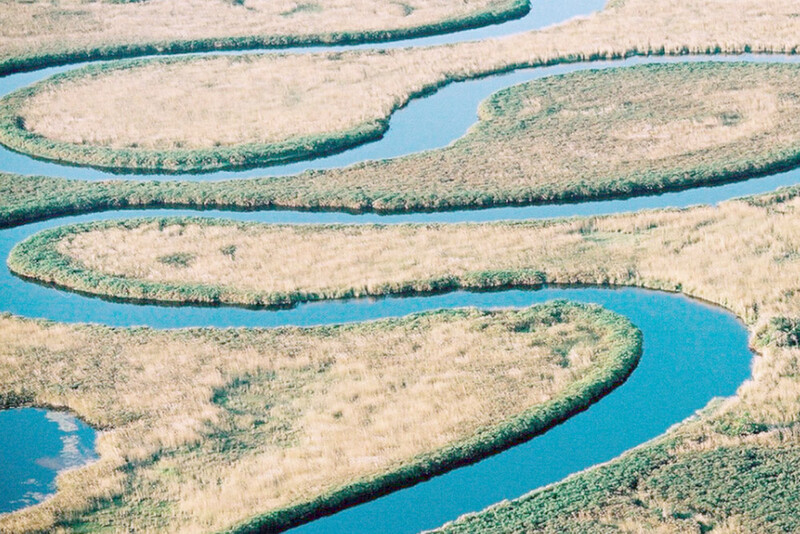 The channels around Moremi Crossing offer far reaching vistas of the Moremi’s floodplain, grasslands and marginal woodlands interspersed with Mokolwane palm islands. 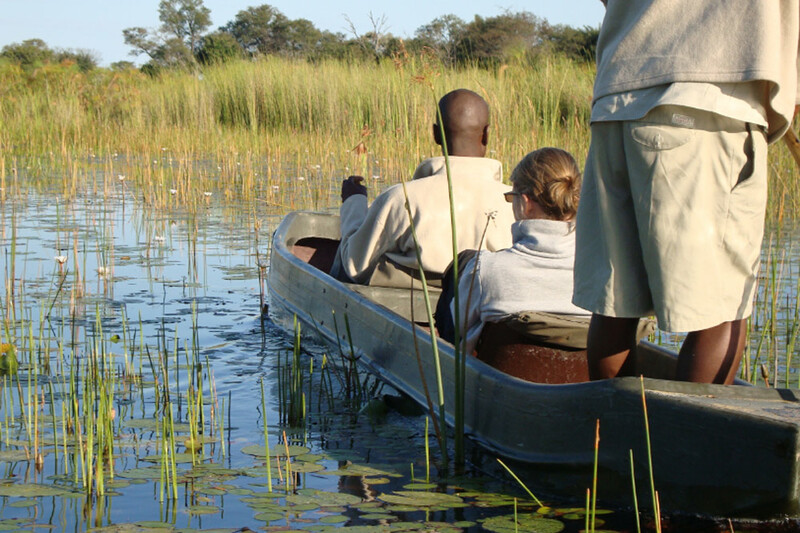 Experience the Okavango Delta and its game from a very different, slower and closer perspective with day and night game drives in the rich wildlife areas, accompanied by professional guides. 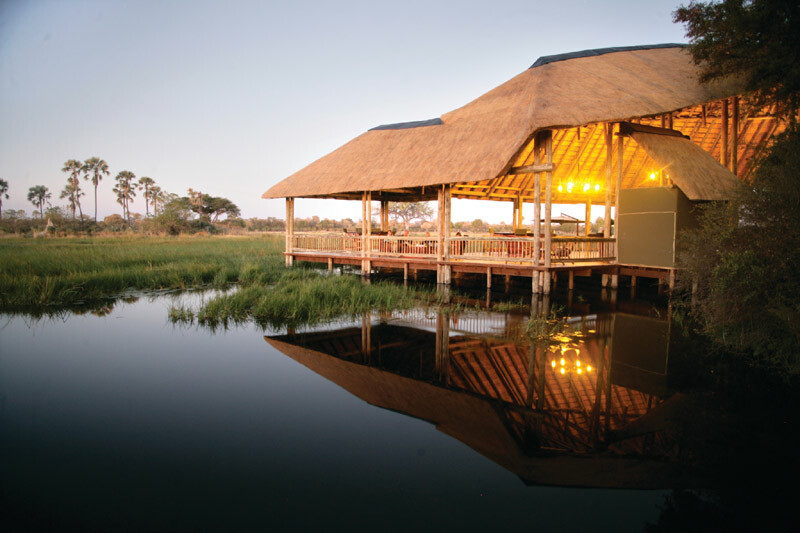 In Kasane, at the Kubu Lodge, you are on the doorstep of the world famous Chobe National Park and only an hour away from the mighty Victoria Falls. Livingstone offers exciting activities for the adventurous, with elephant back safaris, white water rafting, Zambezi river cruises, bungee jumping, helicopter flights and many more. Activities on offer include mokoro trips, game and bird walks, sunset motorboat cruises on the Chobe River and island camping. 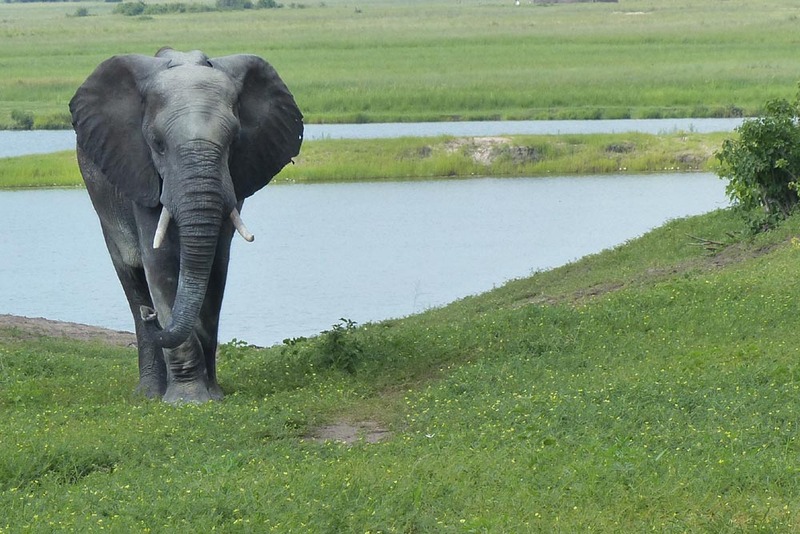 Visit to the Chobe National Park, with the highest density of elephants in the world. 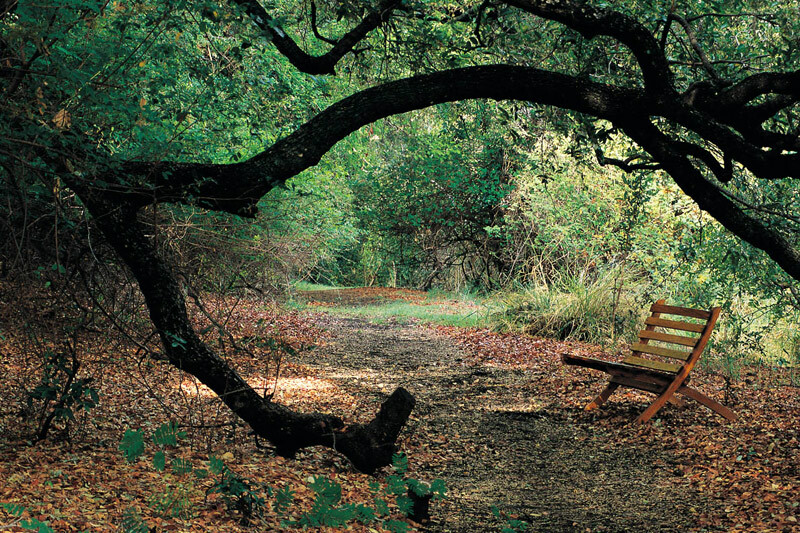 Nature trail for bird watching enthusiasts. Access by foot to the mighty Victoria Falls. 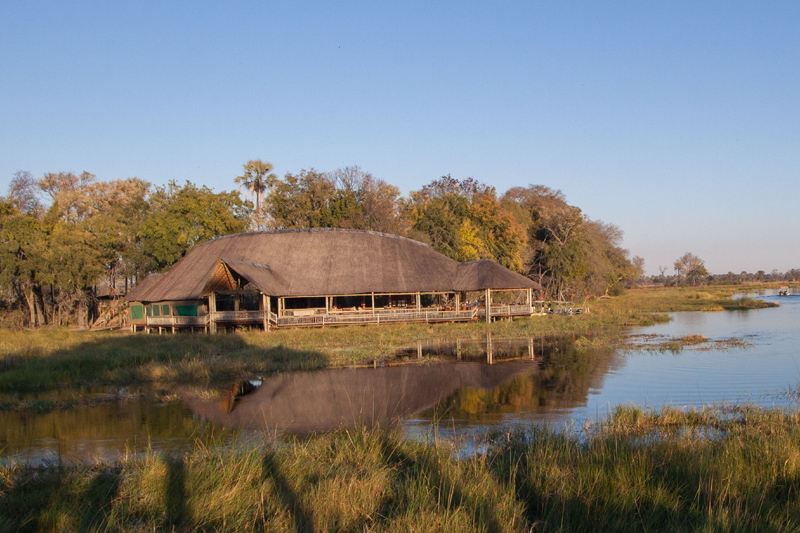 Upon arrival at Maun Airport you will be met by our representative and transferred to MOREMI CROSSING by light aircraft to spend the next 2 nights. After an early morning activity and breakfast, transfer to SANTAWANI LODGE by light aircraft, to spend the next 2 nights. After breakfast guests will be transferred by road and boat to the ZAMBEZI SUN HOTEL in Livingstone (approximately 2 hour transfer) where they will spend the next 2 nights. At ZAMBEZI SUN HOTEL in Livingstone. After the breakfast, transfer to Livingstone airport for onward travel arrangements. Transfer Maun Airport / Moremi Crossing. 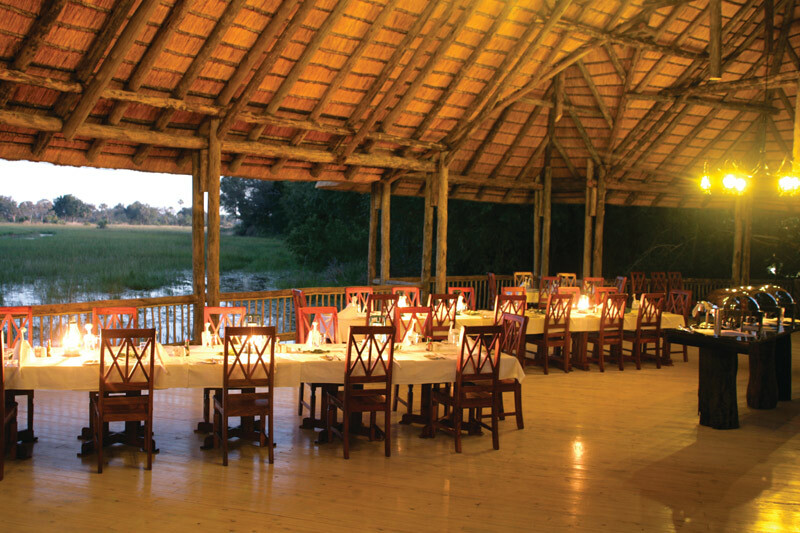 2 nights accommodation at Moremi Crossing inclusive of breakfast, lunch & dinner. Transfer Mormei Crossing / Santawani Lodge. 2 nights accommodation inclusive of breakfast, lunch & dinner. Transfer Santawani Lodge / Kubu Lodge. 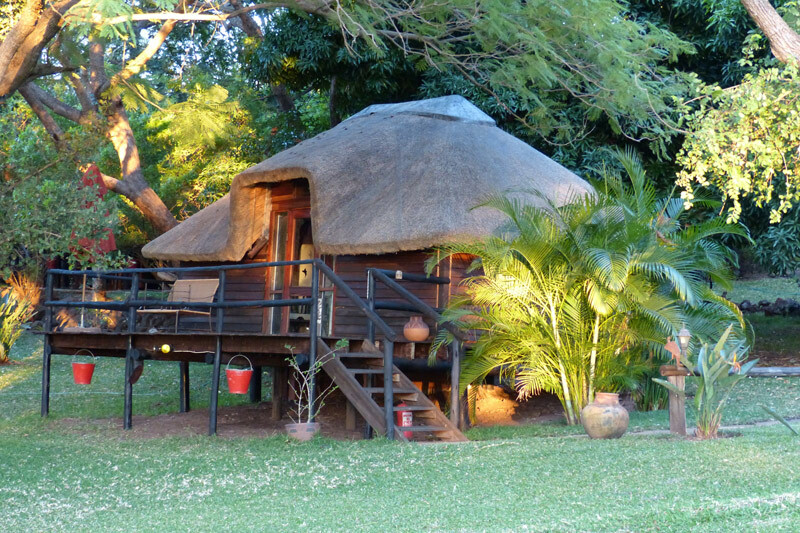 2 nights accommodation at Kubu Lodge, inclusive of breakfast, lunch & dinner. Road & boat transfer Kasane / Livingstone. 2 Nights accommodation at Zambezi Sun Hotel, inclusive of breakfast. 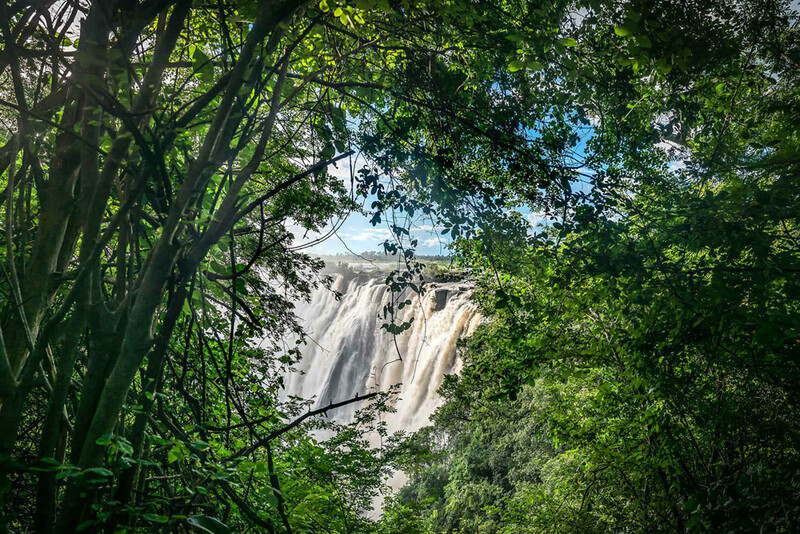 Free entrance to Victoria Falls. Road transfer Zambezi Sun Hotel / Livingstone Airport. International air fares & visas. All activities whilst at Zambezi Sun Hotel. Meals, beverages and activities not specified. 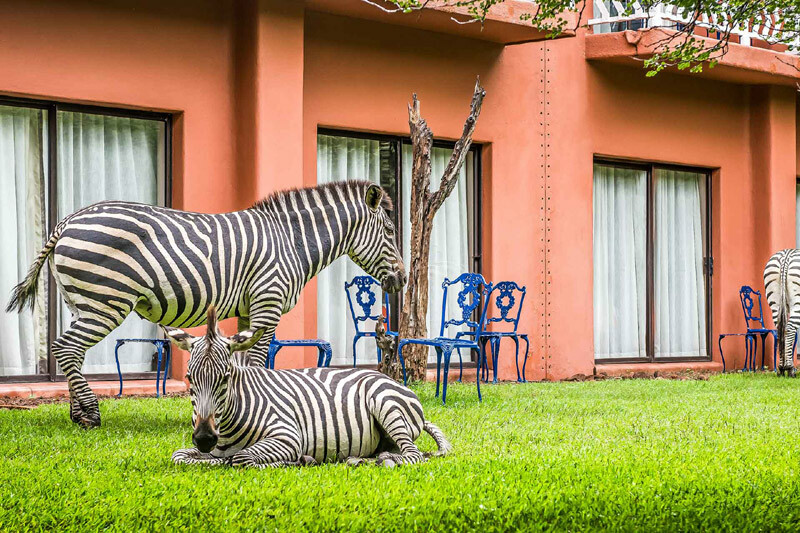 Zambezi Sun Hotel is located on the eastern side of the Victoria Falls (one of the Seven Natural Wonders of the World) on the Zambian side. The Resort Complex is built along the edge of the Zambezi River and guests have direct access to the Victoria Falls on foot. 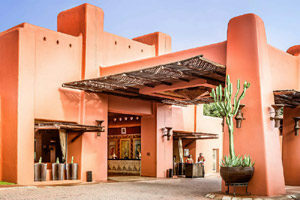 The hotel has the feel of a century’s old walled city and comprises of open, organic buildings in earthy colors with rambling clusters of rooms. 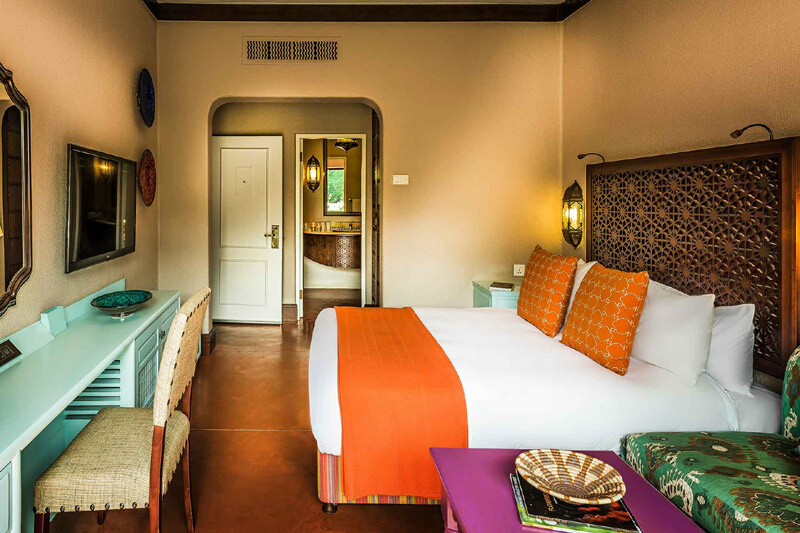 The 212 guest rooms are airy and are decorated in an African style. 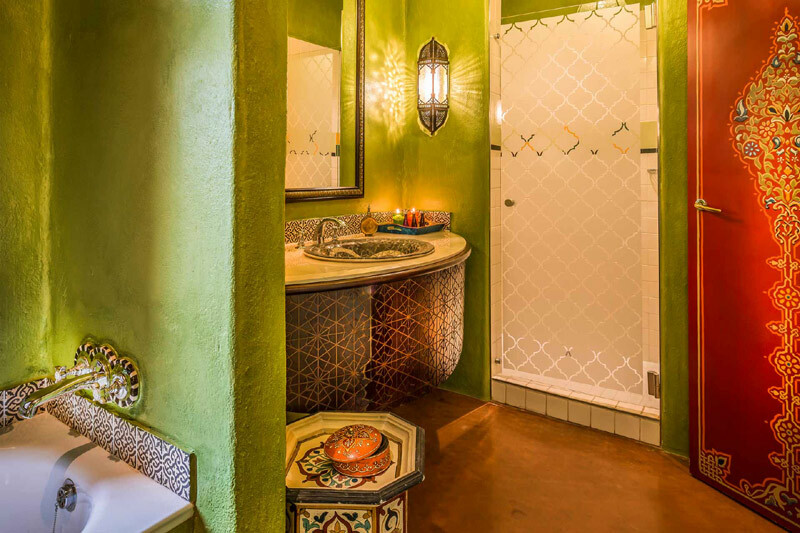 Room facilities include en suite bathroom, hairdryer, direct dial telephone, satellite / cable TV, internet connection, king-size bed, hire safe and central heating. The rooms either spill outwards into the natural African bush or face inwards into a vast, cool, landscaped pool with private, shaded balconies offering guests a place to unwind, relax and enjoy Africa’s greatest natural wonder. The Restaurant and bar area are in the center of the hotel next to a curving swimming pool. 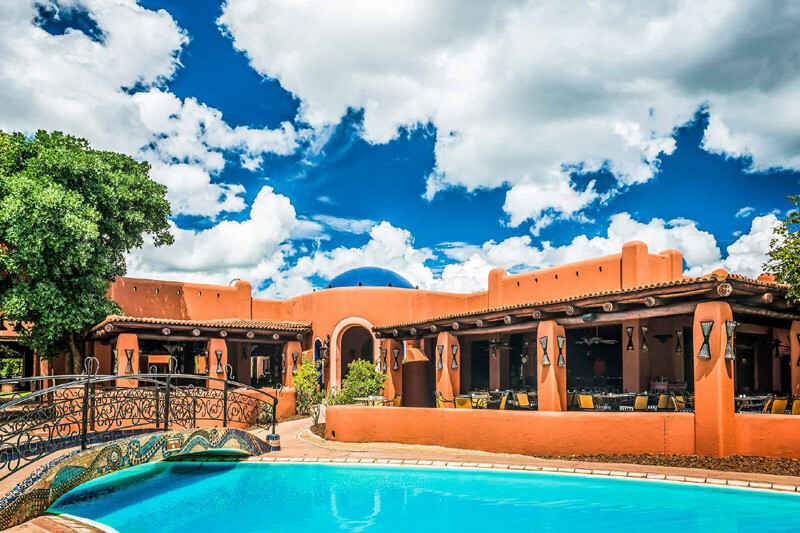 A vast number of activities can be arranged at the activity center at the hotel, including elephant back safaris, white water rafting, Zambezi river cruises, bungi jumping, helicopter flights just to name a few. 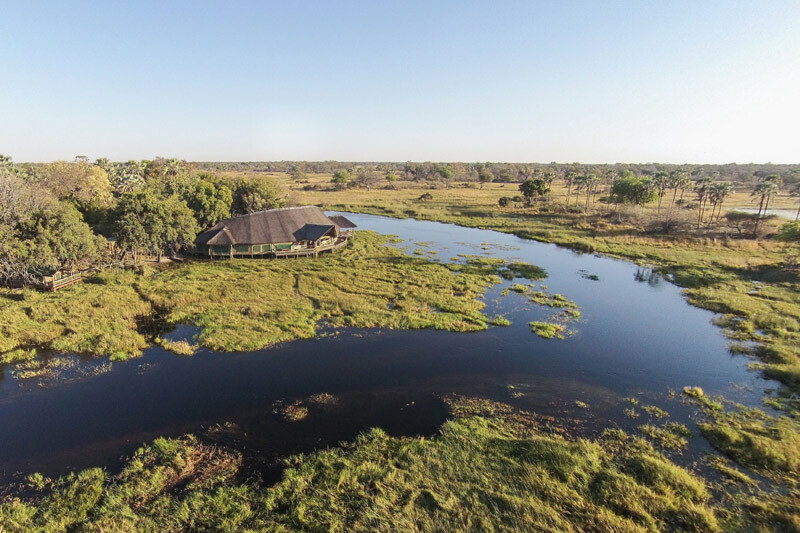 Kubu Lodge is a small, privately owned lodge on the banks of the Chobe River, on the doorstep of the world famous Chobe National Park, and only an hour away from the mighty Victoria Falls. 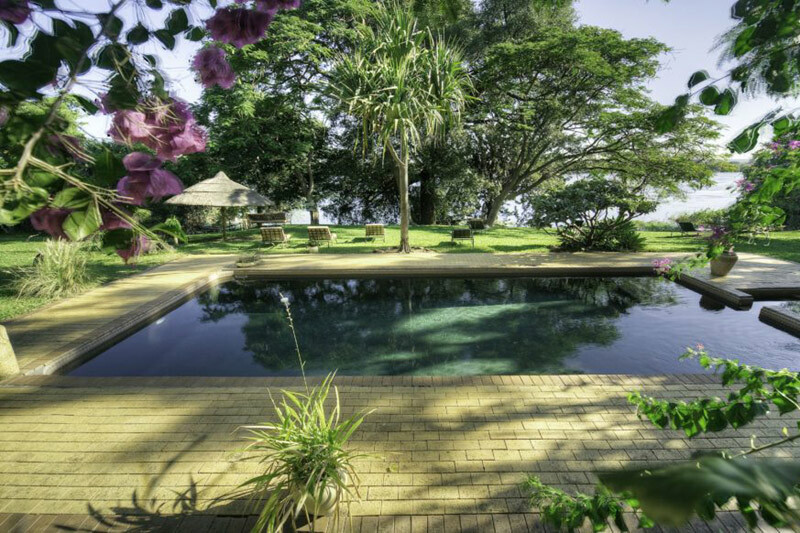 Set upon rolling lawns and shaded beneath giant ebony and wild fig trees, the Lodge offers a haven just outside the center of Kasane, with panoramic views of the Chobe River. 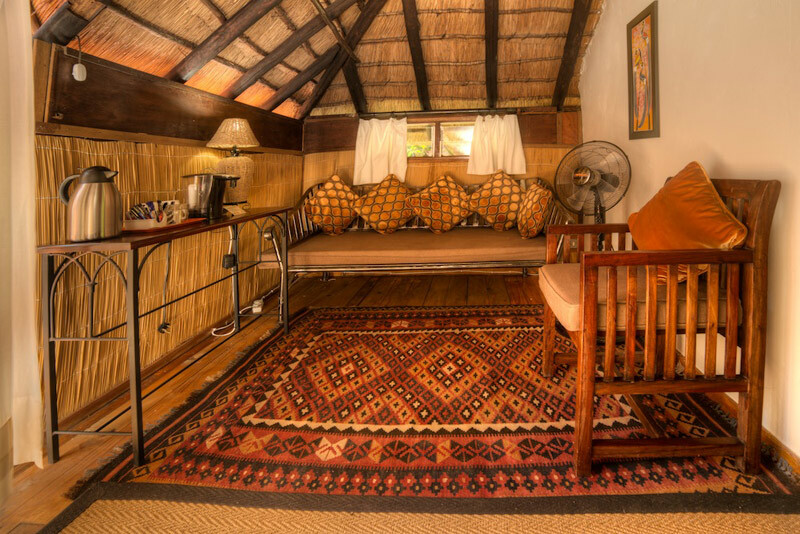 Accommodation consists of eleven charming thatched chalets on stilts with full en-suite facilities, ceiling fan, mosquito nets and tea and coffee making facilities. Each chalet has a view of the river whilst several of the family chalets offer warm hospitality and is an an excellent opportunity for families. 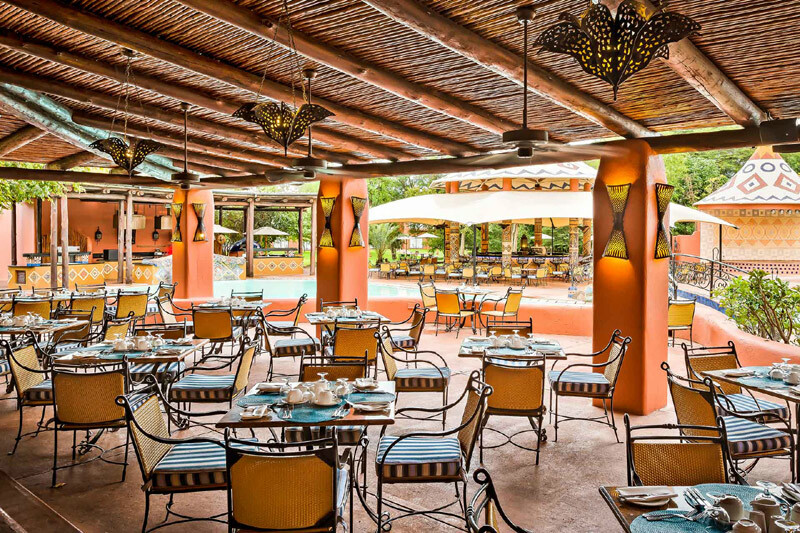 The main facilities include a bar, restaurant, curio shop and a secluded swimming pool. 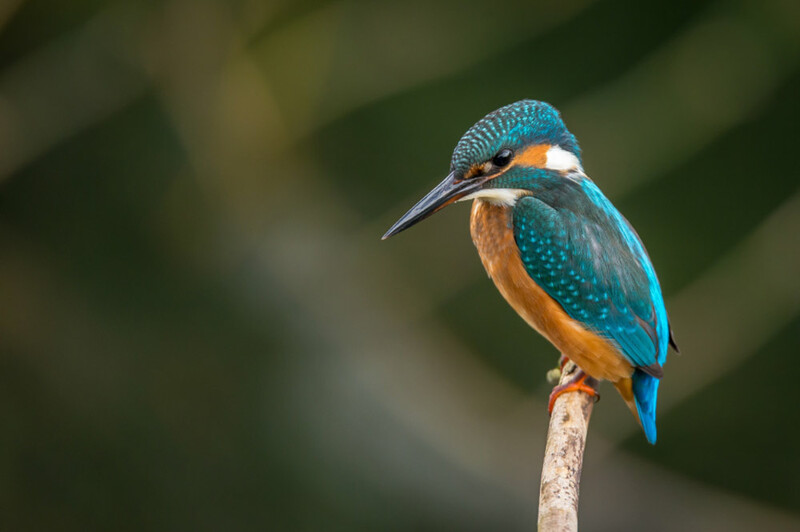 There is also a nature trail for bird watching enthusiasts. 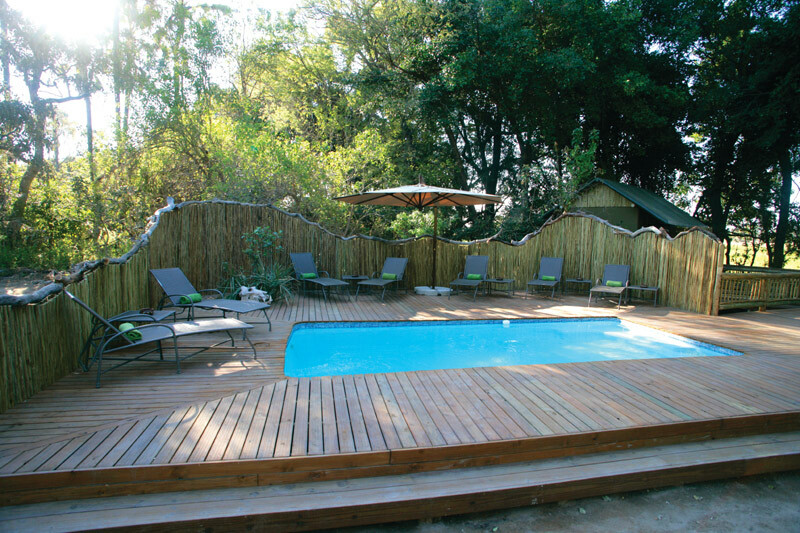 Santawani Lodge is located in a private concession area on the very southern boundary of Moremi Game Reserve. The boundary is unfenced allowing free wildlife movement between the areas. 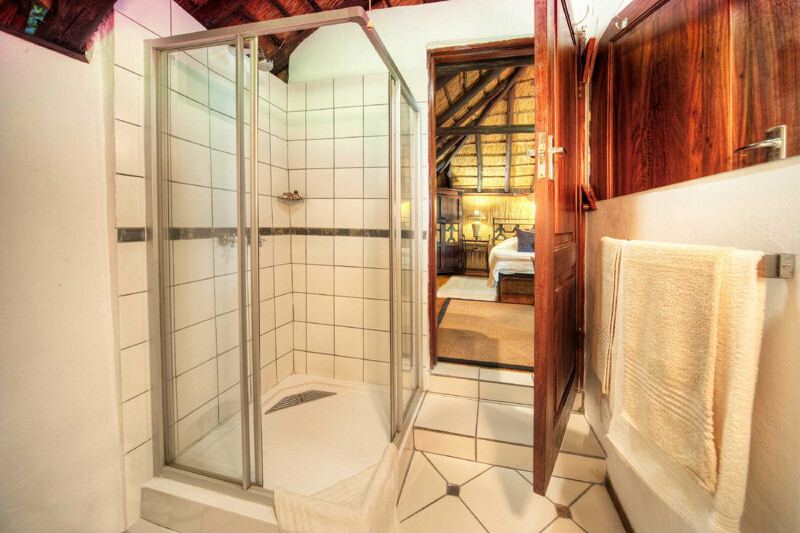 Accommodation consists of six simply appointed thatched chalets with twin beds, a ceiling fan and private shower and toilet. 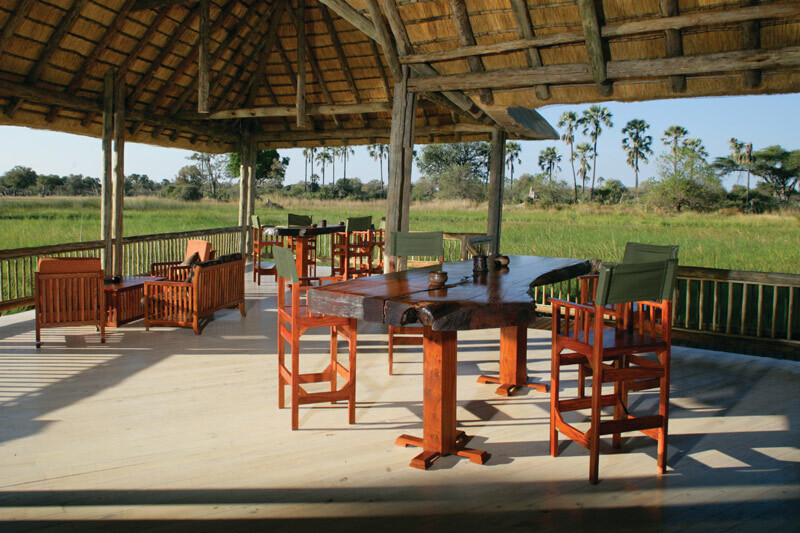 The lodge is well shaded and offers an open dining room with bar facilities and a welcoming boma. Activities offered are day and night game drives in this delightfully rich wildlife area. 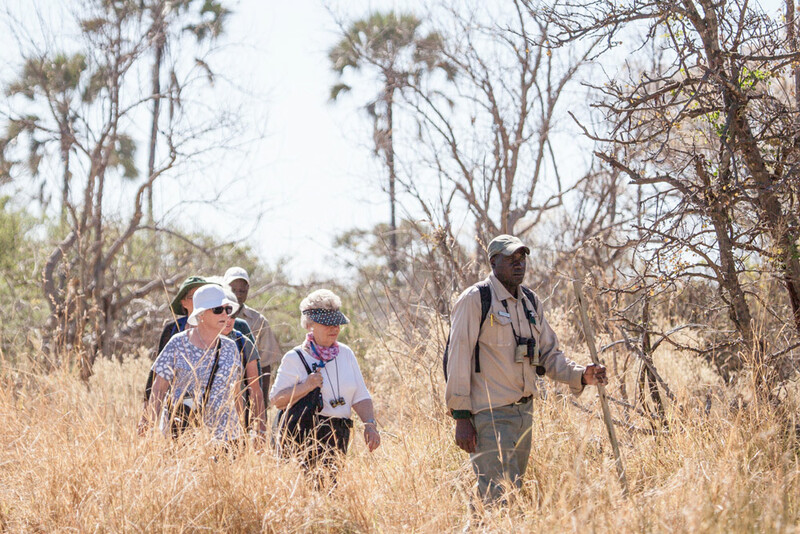 Professional guides accompany guests to show them the frequently visited drinking spots and open plains teeming with animals, plant and bird life. 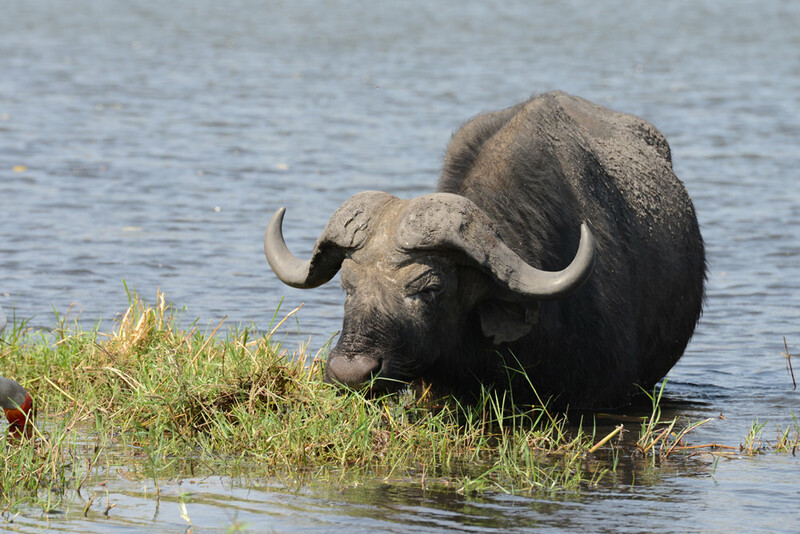 The Gomoti River runs close by the Lodge providing a home to abundant variation of mammal and bird species in the area. 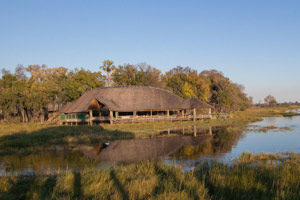 Moremi Crossing is located on an Island called Ntswi near the most southern part of Chief’s Island. As you fly over the Delta you can see the intricate twisting and turning of the waterways and the ever-changing colors where dyr land meets Delta. 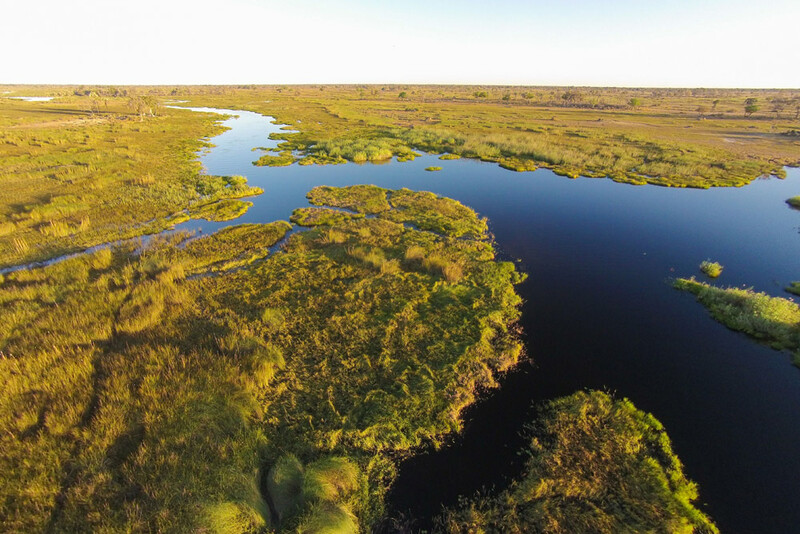 The channels around Moremi Crossing offer far reaching vistas of the Moremi’s floodplain, grasslands and marginal woodlands interspersed with Mokolwane palm islands. 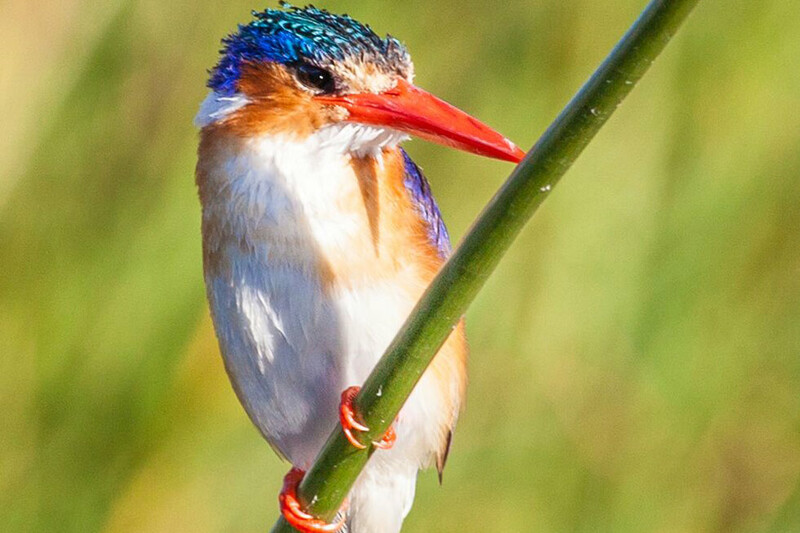 As Moremi Crossing is a water based camp i offers a wide variety of animal and bird species while you get to the camp by either mokoro or boat. 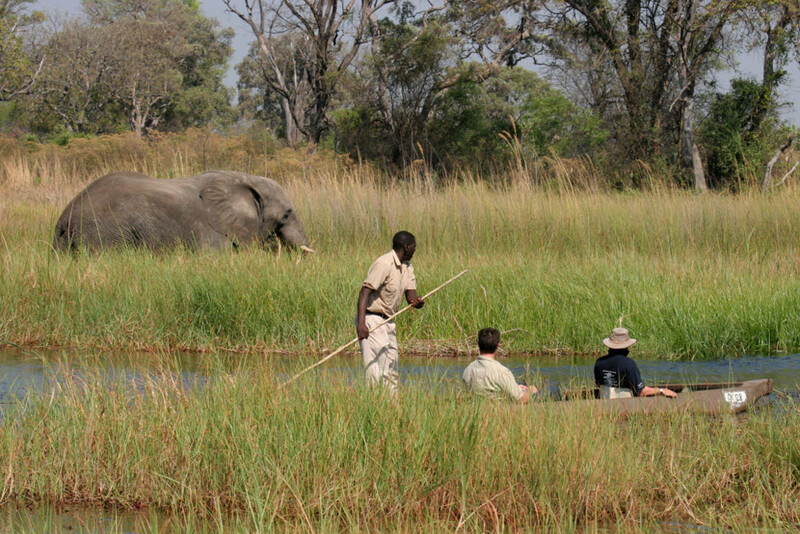 Activities offered are half or full day mokoro trips, game and bird walks, sunset motorboat cruises and island-camping. 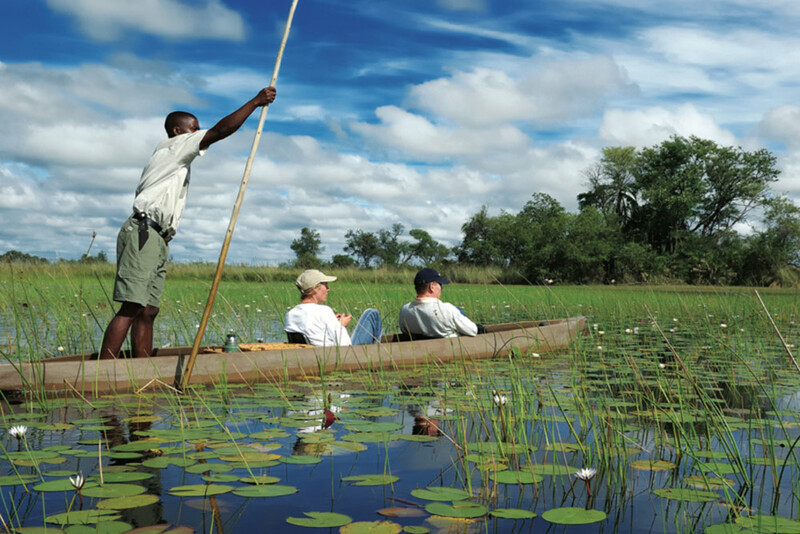 All of these activities give you the chance to experience the Okavango Delta and its game from a very different slower and closer perspective. 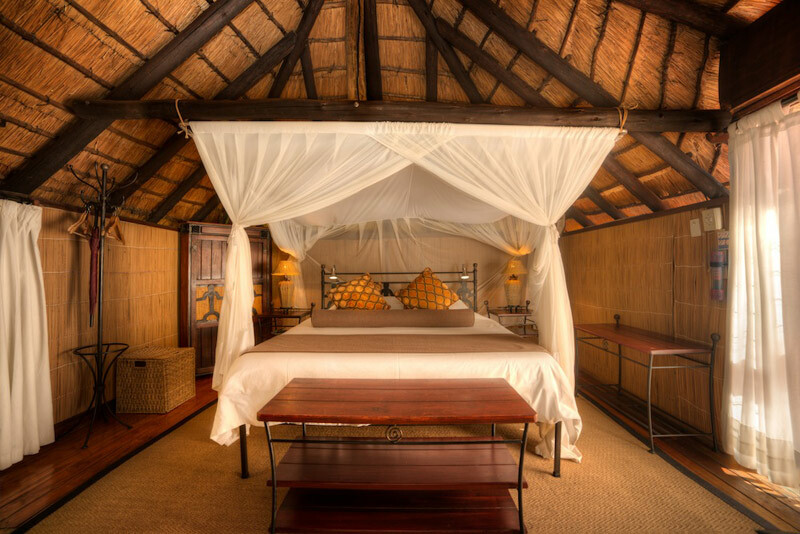 Moremi Crossing provides luxury accommodation in 16 new vintage safari tents, each with its own private deck and magical views over the Boro River onto Chief’s Island. 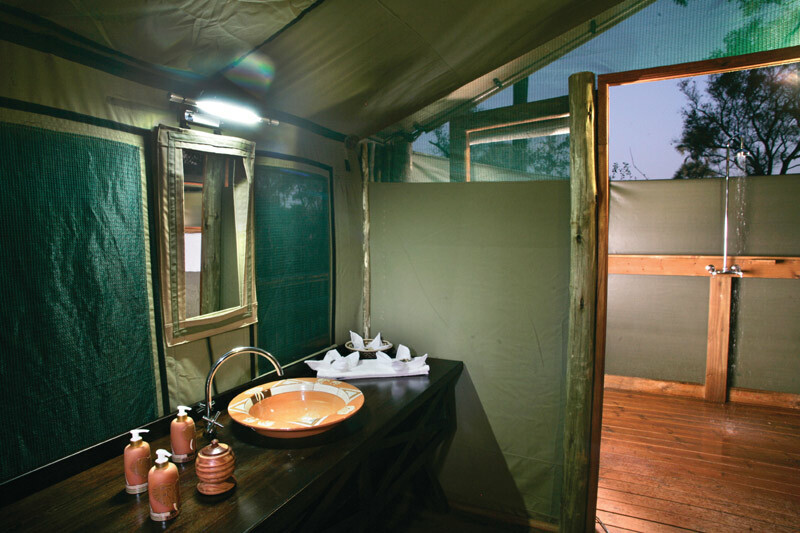 All tents are large and airy with bathrooms consisting of a shower and toilet. 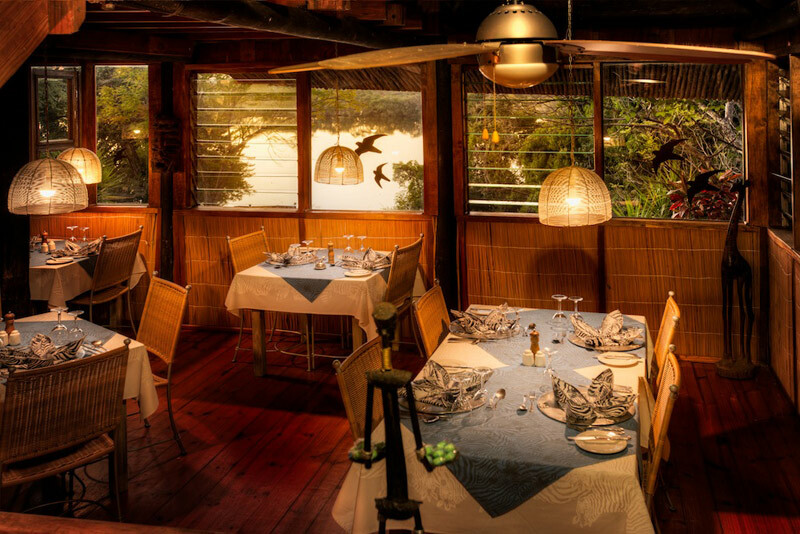 Dining room, bar and lounge are covered by a large thatched roof that hugs the tree line and accentuates its most beautiful assets. Various small private lounge areas are created for comfort, privacy and spaciousness. 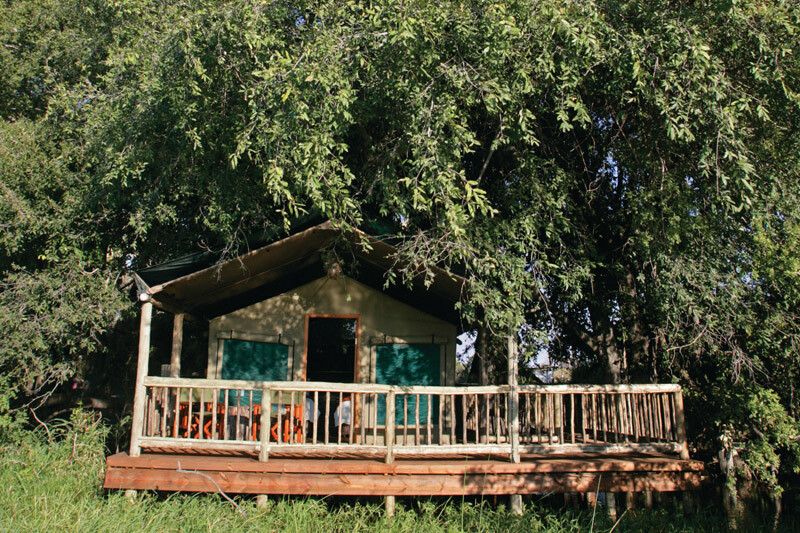 The whole camp is shaded by magnificent Llala palms, giant ebony, mangosteen, sausage and giant fig trees. The camp has 24 hour solar powered electricity / lighting and is 100 per cent eco-friendly, featuring the latest in solar and waste disposal technology.